The platform’s own built-in analytics tool, Instagram Insights, is a great place to start. Using it is a no-brainer—it’s free. Insights offers basic stats you can click through to find out more about your followers and their demographics, what times they’re checking your account, and what your top posts are. Here’s a peek at the analytics for my Instagram account, which is still fairly new and needs a lot more love to grow. To access your own stats, click on the graph at the top of your Instagram profile page. Insights has one major drawback—it’s only available on the app. You can’t view your Instagram analytics on desktop or even download them, which makes it pretty difficult for teams to share and analyze data. 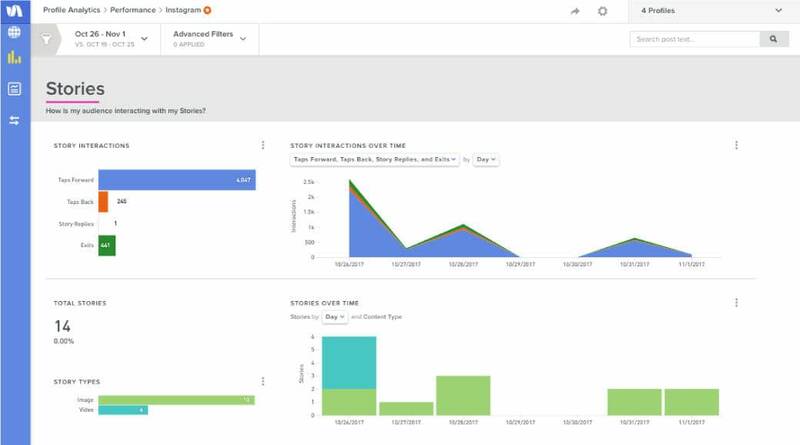 Fortunately, there are a plethora of great Instagram analytics tools available for teams, big and small, that can help you go beyond the simple stats offered by Insights and better track your successes and find new opportunities. So here’s my list of the top 7 Instagram analytics tools of 2018 so far. Disclaimer: I’m a big fan of Later. It’s an awesome Instagram analytics tool that I’ve used personally for scheduling and engaging with Instagram followers. But more than that, it also measures account performance and provides detailed analytics. 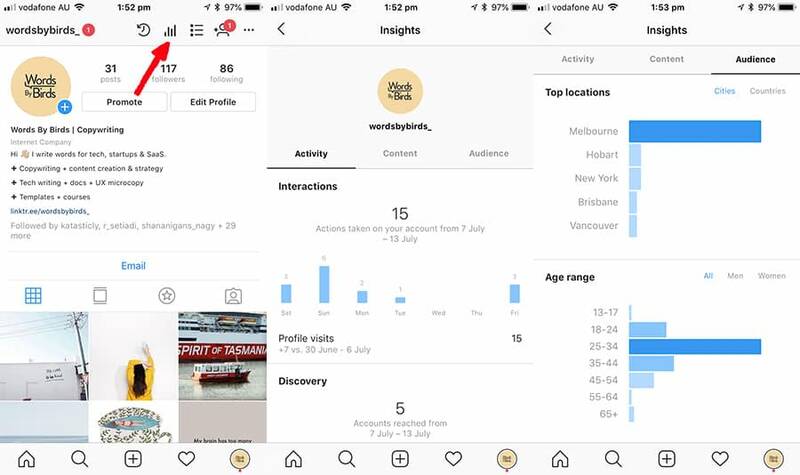 On the Analytics overview page, you can get a quick rundown of total posts and followers, but also see how your Instagram account has grown in recent weeks, both in straight numbers and percentage growth. This helps gauge how fast you’re gaining new followers, but also whether you need to boost your marketing efforts. When you click through to the “Performance” tab, you can see a more detailed overview of your post performance. The user interface for this screen is easy to scroll down so you can quickly pick out top performers over a seven-day, 1-month or 3-month timeline. Clicking on an individual post will bring up the content of the actual post, as well as stats on how likes and comment numbers have grown over time. Later is ideal for individuals, but if you plan on growing your team or want to use Later for your business, you can easily add new team members to help manage your social accounts. Later is best for: Solopreneurs and small teams that want to measure and track post performance and engagement over time. Pricing: Free for individuals, but starts at $9 per month for access to features like Pro Instagram Analytics. 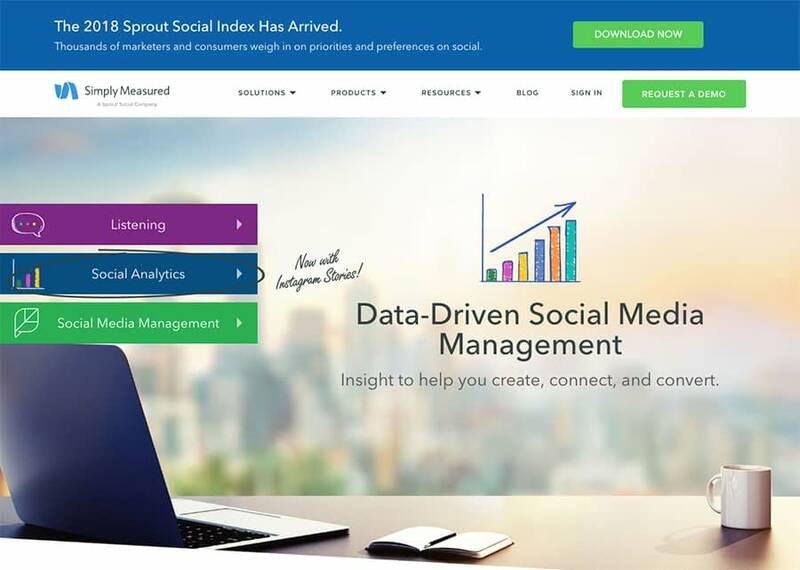 If your brand or business is on the bigger side, Sprout Social is one of the few Instagram analytics tools that is designed as a kind of all-in-one solution, incorporating content creation and project management as well as analytics. Sprout is a professional-grade program—and it shows. You can track likes and comments, do deep dives into hashtag data, and gather specific data about followers. And then Sprout can take all of that data and transform it into a polished, easy-to-understand report that’s perfect for clients. 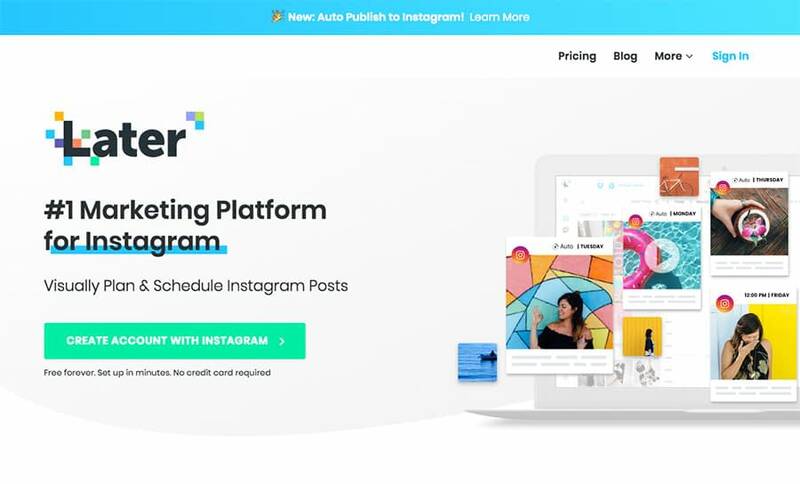 Sprout Social also enables users to schedule Instagram posts in advance. This means you can track the performance of each post and adjust future posts based on your most recent analytics. Big businesses and brands need to coordinate and collaborate. Sprout offers users a shared media library where post authors and contributors can find already approved images for Instagram. This helps streamline the entire process, giving authors a pool of approved images to choose from rather than going through the laborious process of seeking approval on each and every individual post. A useful feature for teams is Smart Inbox, which allows you to engage directly with followers and track replies. The primary drawbacks to Sprout have to do with its size and complexity. Essentially, Sprout may offer more services and features than you need, which means you could end up paying more for Sprout than for other Instagram analytics tools. If you have a small-sized brand or business, something as large and necessarily complex as Sprout may not make the most sense for you. 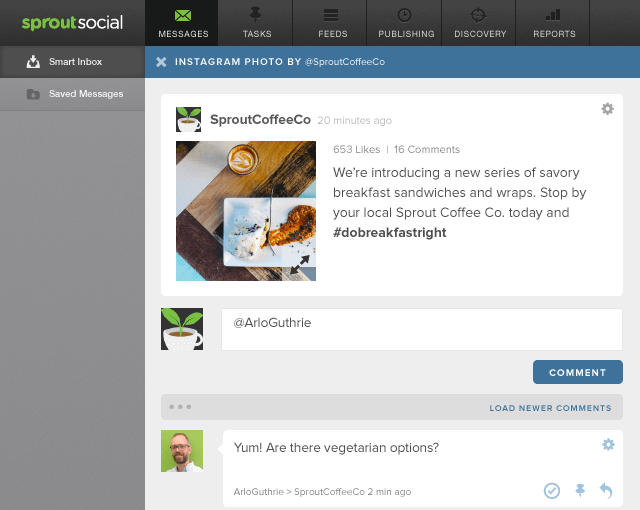 Sprout Social is best for: Brands that need an all-in-one project management, Instagram publishing, and analytics tool. Sprout is definitely designed for larger firms, so keep that in mind when investigating this tool. Price: Starts at $99 per month. Thirty-day free trial available. As most Instagram posts take the shape of squares, it’s no surprise that a tool called SquareLovin makes this list of the best Instagram analytics tools of 2018. The specialty of this tool is in its ability to synthesize data. Many analytics tools will give you plenty of raw data and pretty graphs, but SquareLovin is designed to help you determine how each and every post is performing. One of the best features offered by SquareLovin is its ability to score your posts. The software will look at your overall engagement, comments, likes, and so on, and give each post an easy to understand score. This is perfect when you aren’t terribly concerned with the minutiae so much as the overall result. Most tools give you the ability to see when a hashtag is particularly active. SquareLovin does this too, ensuring you know just the perfect time to post. 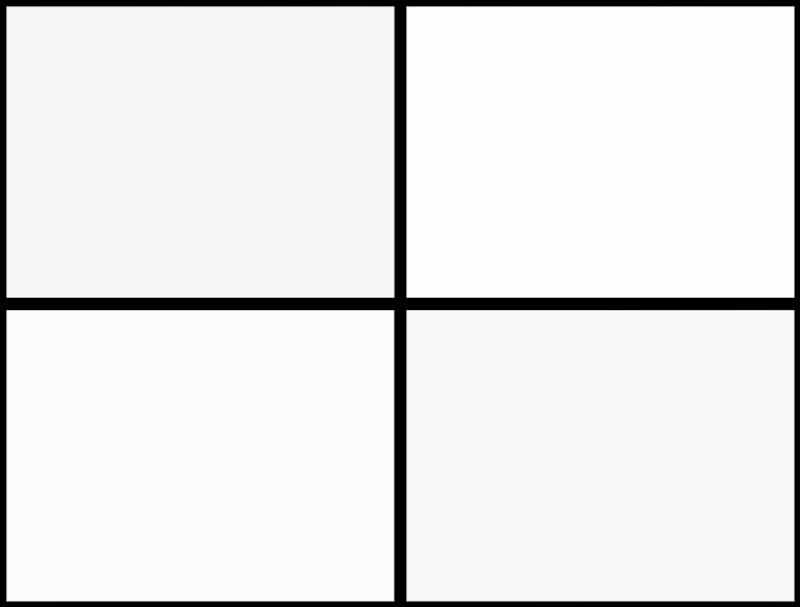 But SquareLovin also gives you information about when not to post. SquareLovin gives you analytics data that spells out when hashtags and posts perform particularly poorly—so you make absolutely sure to avoid those poor performance windows. SquareLovin will also give you individual metrics on each Instagram post that you publish. That way you can track your success (or setbacks) post by post. This data is displayed in a very intuitive way on SquareLovin’s dashboards. To a certain extent, SquareLovin is relatively specialized. 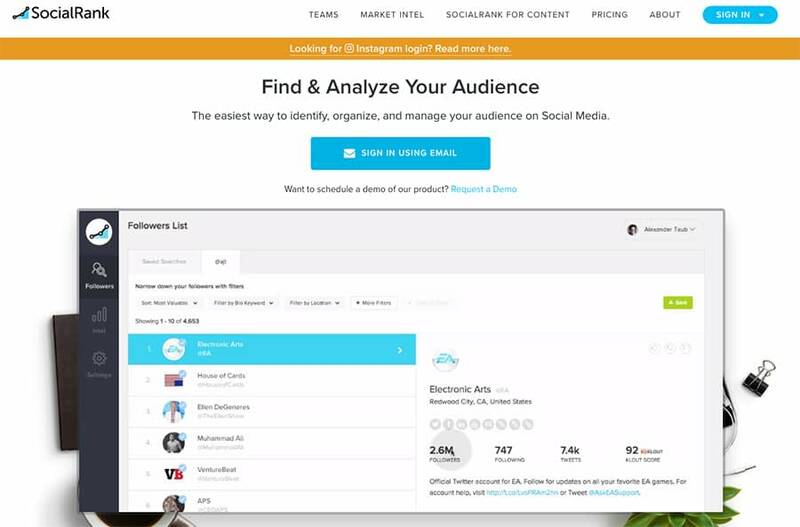 It doesn’t offer some of the bigger integrations that the other software, such as SocialSprout, does. Those who want a deeper dive into user data might also be disappointed by SquareLovin’s offerings. In part, that’s because SquareLovin is finding success with other data. SquareLovin is best for: Tracking progress on a post by post basis. That means it’s perfect for one professional managing a small number of accounts. If you’re responsible for a dozen accounts or so, you may want a tool with a little more horsepower and a touch more big-picture data. But if you’re posting a few times a day for a few different clients, SquareLovin gives you everything you need to ensure that you get the most out of each and every post. Price: Pricing information is not available publicly as you must first schedule a demo with sales. 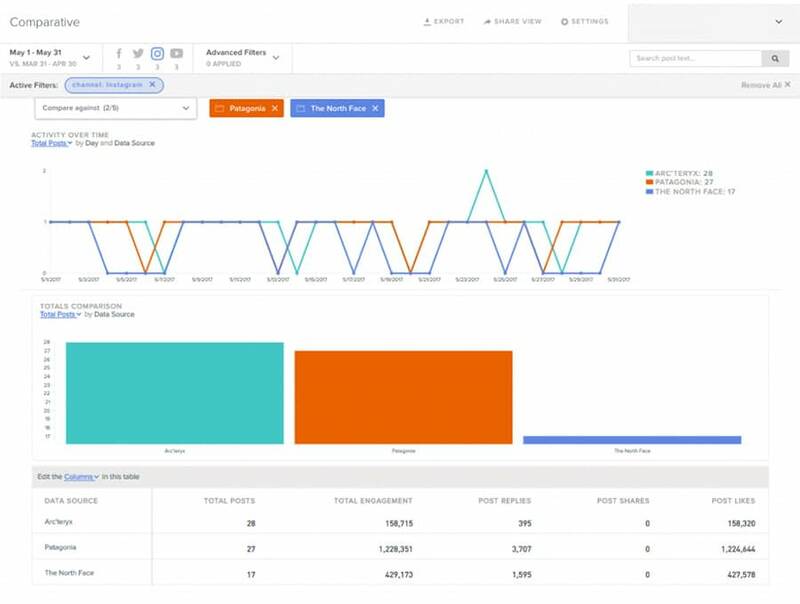 SimplyMeasured bills itself as an “end-to-end” social media management and Instagram analytics tool for data-driven marketers—and it delivers. It provides in-depth analysis of your posts and Instagram Stories so you can discover which messages get the most engagement, including post saves, story replies, taps forward, taps back, and exits. It’s also an excellent tool for measuring brand performance. You can track the reach of your hashtag campaigns and monitor the growth of your brand on Instagram with new and total followers. If video is your thing, you can analyze the success of your video postings by tracking views and resulting engagement. A key feature of Simply Measured is the ability to track competitors. You can measure your own performance against the competition, and find ways to improve your strategy by identifying the content and campaigns that have worked best for others. 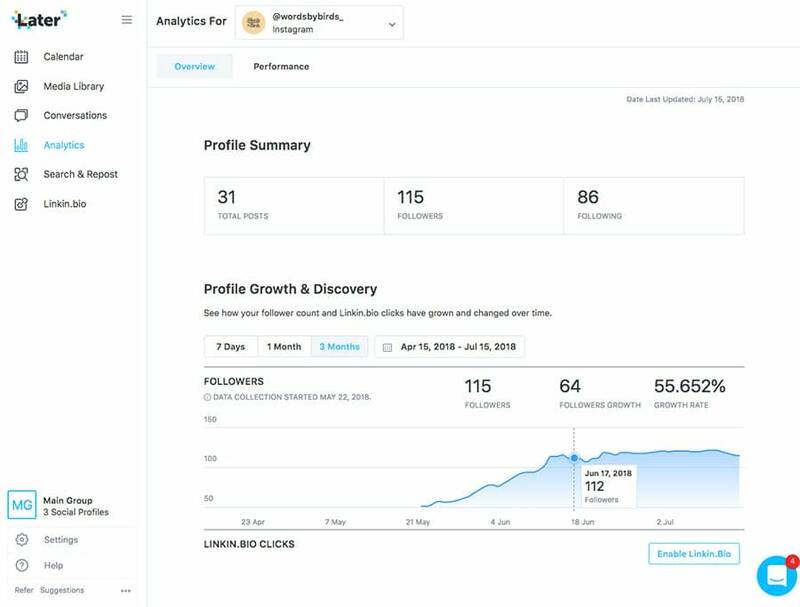 SimplyMeasured is best for: Large businesses and brands that need comprehensive data analysis and insights into their followers and potential customers. It’s also useful for businesses interested in exploring and using influencer marketing. Price: Pricing information isn’t available publicly as you must first schedule a demo with sales. 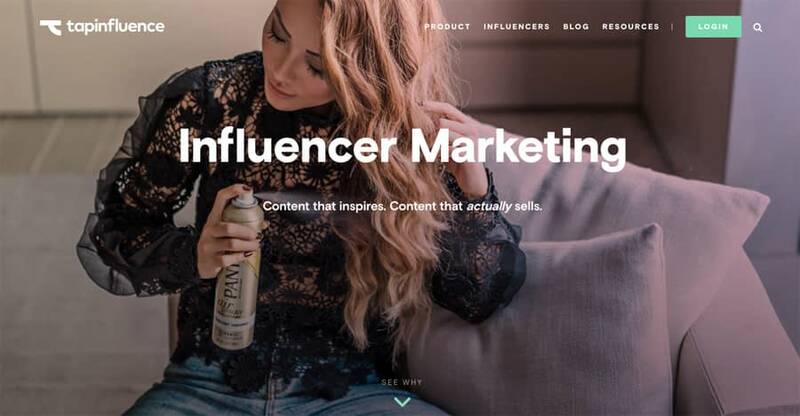 Influencer marketing is a hugely influential form of social media marketing right now, and one of the best tools to measure it is TapInfluence. 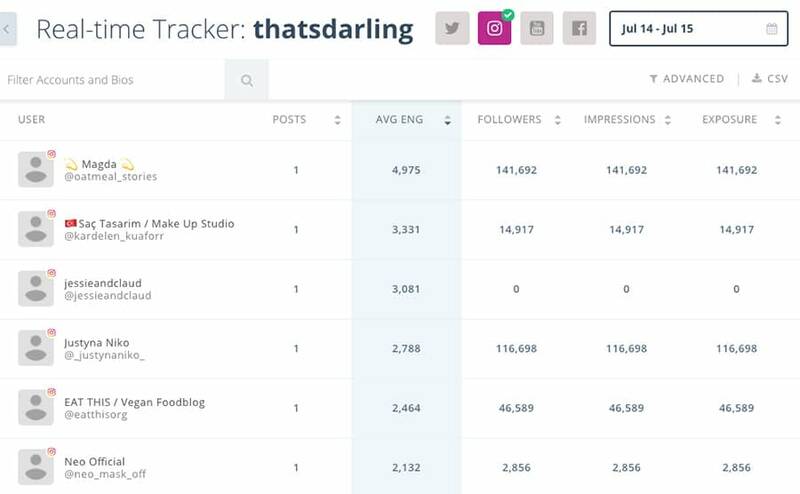 This Instagram analytics tool enables you to find influencers, manage campaigns and get analytics on the results. One of the biggest obstacles for brands interested in social influence marketing is measuring results. For example, you could partner with an influencer and pay them $1,000 for a post featuring your product, but then you’re relying on the influencer to prove the ROI. 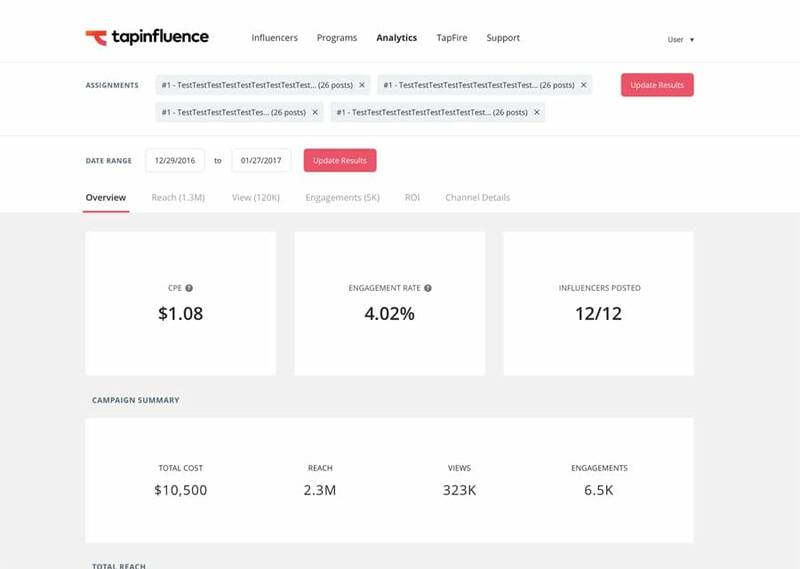 But with TapInfluence, you can track influencer campaigns to determine the true value of your marketing dollars. This is particularly helpful if you’re using Instagram to boost online sales for your eCommerce store. If you work with multiple influencers, you can also analyze the performance of each person you work with and even monitor the real-time performance of your content in terms of reach, views, and engagement. 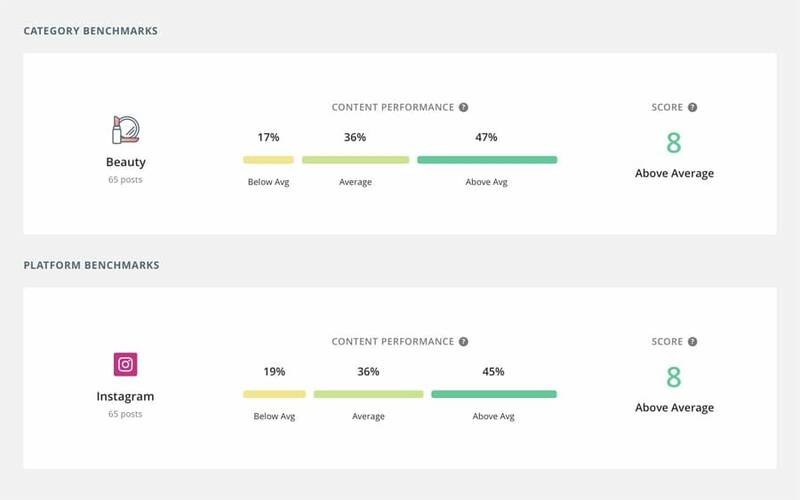 A feature unique to TapInfluence is the ability to compare the performance of your campaigns to industry benchmarks. As a brand, it’s important to stay ahead of the competition. With benchmarking, you can examine your engagement rates and get a better understanding of where your brand sits in the context of your niche. 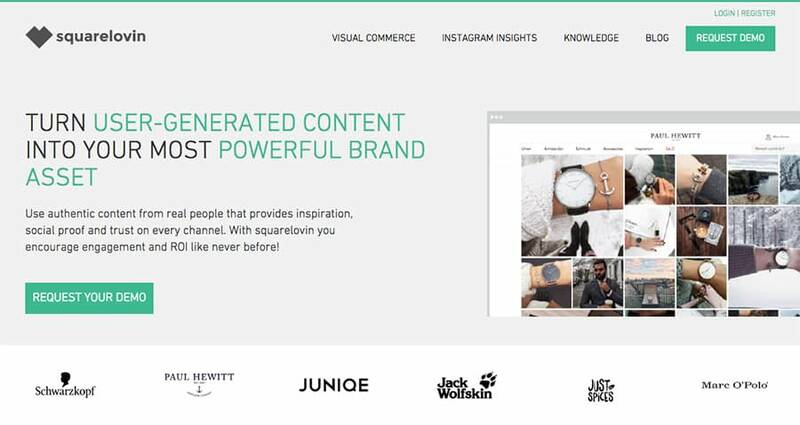 TapInfluence is best for: Brands that work with social media influencers and engage with user-generated content and need Instagram analytics tools that measure ROI on UGC. Price: Pricing information isn’t available publicly as you must first sign-up for a self-guided product tour. Measuring the past performance of your Instagram is all well and good, but what about what’s going on right now? Keyhole lets you track hashtags in real-time, which is particularly useful if you’re running contests and branded hashtag campaigns. 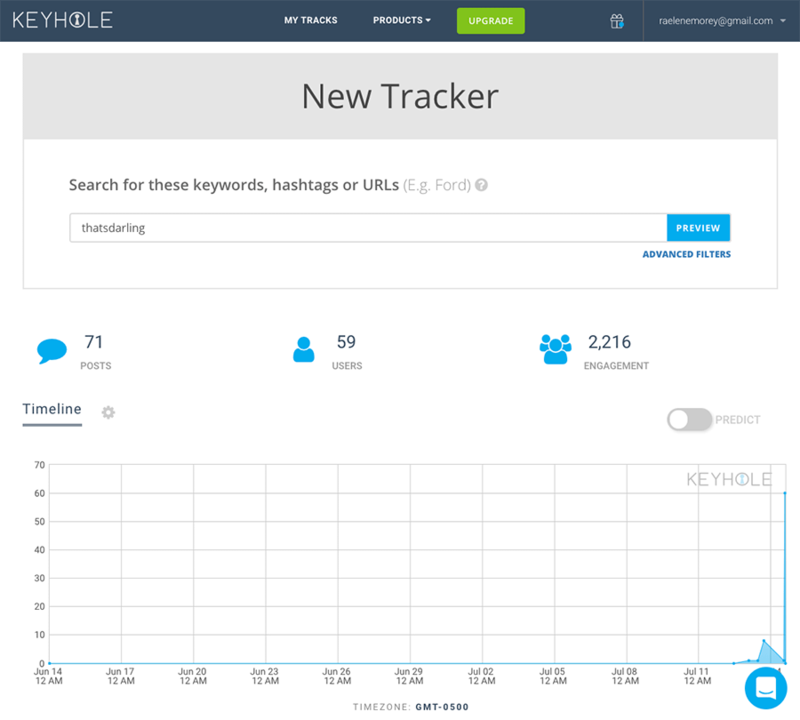 A key feature of Keyhole is the ability to set up “trackers,” which can be hashtags, accounts, keywords, mentions, and URLs. You can then save these trackers and Keyhole will analyze them over time, displaying a treasure trove of insightful information, including post volume at hourly, daily, and weekly durations, as well as the number of users, reach, impressions, and engagement. 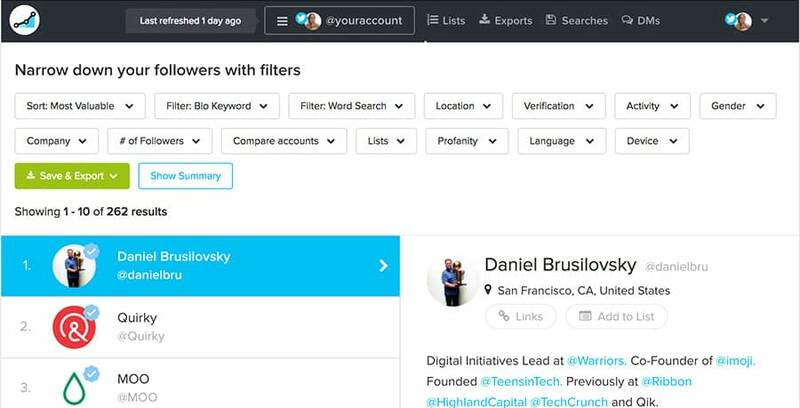 Once you have at least once tracker in place, you’ll be able to access other juicy information, such as number of posts, influencers, trending topics, and a media wall for each of your hashtags. If you’re interested in teaming up with an influencer, you can simply add a new tracker and see which Instagram users are attracting large numbers of followers, impressions, exposure, and engagement around a particular hashtag. 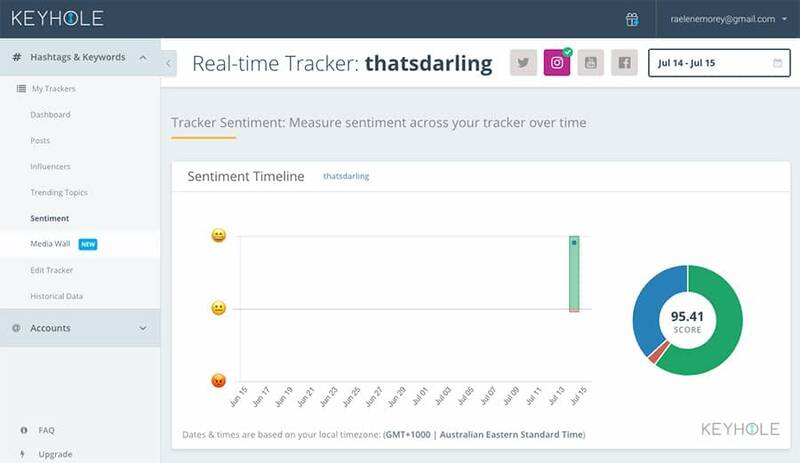 One feature I found particularly interesting is the ability to track and measure hashtag sentiment. Say you’re running a campaign using a branded hashtag. 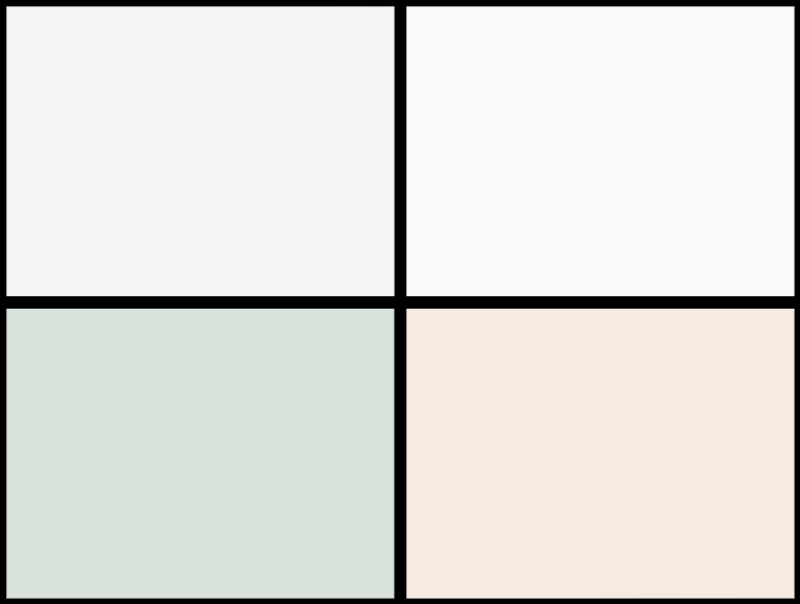 Keyhole’s hashtag sentiment analysis can help you gauge how well it has been received. This is especially useful if you’re working with clients and want to show them how followers are responding to their hashtag. Historical data is available, but you need to upgrade to an Enterprise account or get in touch with support for a one-time report. There are two major drawbacks to Keyhole as far as Instagram analytics tools go. 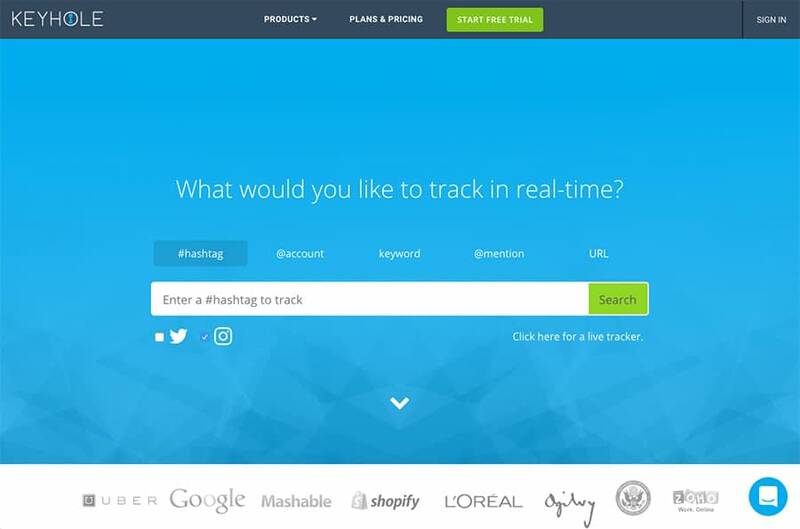 One is that it only tracks hashtag data for roughly thirty days. And the second is that if you delete or remove a hashtag from tracking, Keyhole will delete the associated data. To be fair, these aren’t negative features so much as they are byproducts of Keyhole’s primary function: real-time Instagram analytics. Keyhole is best for: Brands looking for ways to boost engagement through the agile use of hashtags. Price: Starts at $179 per month. Seven-day free trial available. 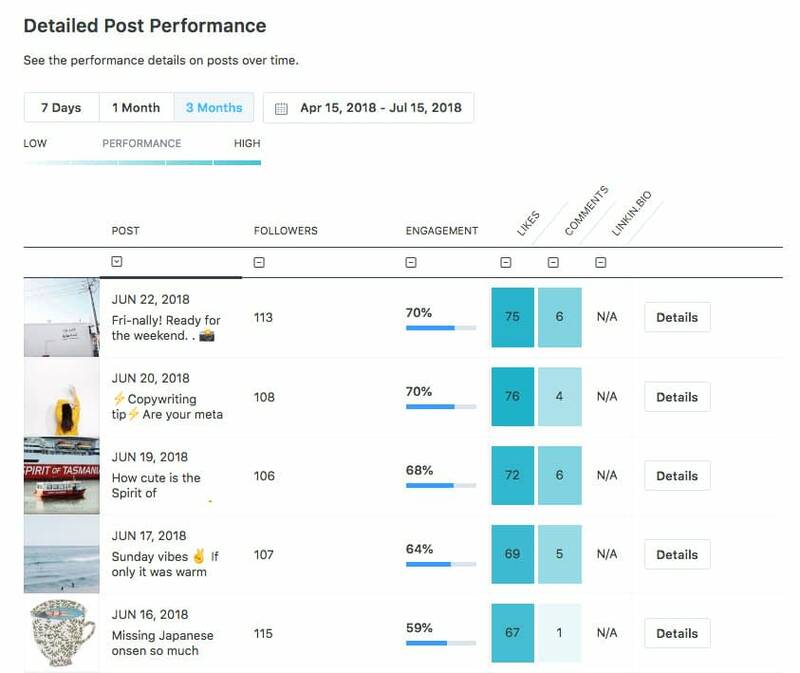 Where some Instagram analytics tools will drill down into hashtag analytics or individual post performance, SocialRank is an analytics tool that’s much more interested in your audience’s behavior. That behavior can be important to recognize and record because the better you know your audience, the more predictably you’ll be able to succeed with individual posts. In other words, knowing your audience can help you better calibrate your entire Instagram campaign. SocialRank can tell you a heck of a lot about your Instagram followers! You can, for example, run a report that will tell you what words are most often used among your followers. That way, you can customize your Instagram posts to include words and phrases that are popular among your audience. If you’re looking to learn something about a specific slice of your audience, SocialRank also offers filters that you can apply to your analytics work. For example, you can search for information on users who happen to reside in your city. Or you can search based on how many followers users have, selecting only those with a higher or a lower number of followers to investigate. You can also use SocialRank to create lists of new followers based on customized search criteria, keywords, or filters. This can help you customize your posts to ensure you’re targeting the right followers and Instagram users. There are some drawbacks. First, let me say that SocialRank is an amazing tool. But it’s certainly intended for use with larger digital marketing and social media strategies. It can be quite expensive for a monthly subscription. The data provided by SocialRank is valuable without a doubt, but it will be up to you to determine whether your operation is big enough to justify gathering this type of analytics. SocialRank is best for: Ensuring you’re targeting the right audience or to find new audiences that might be receptive to your message. 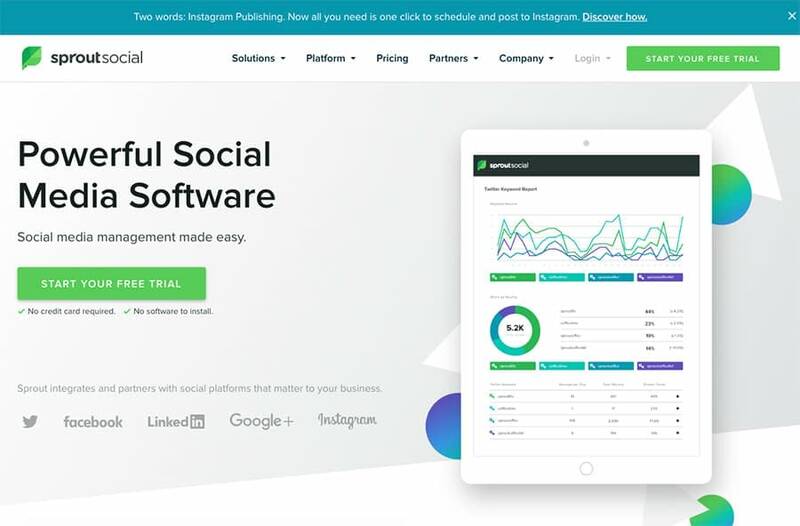 In any case, where your Instagram strategy needs a better-defined audience, SocialRank would be one of the better Instagram analytics tools to employ. Price: There are no pricing details available on the SocialRank websites, but some investigation reveals it starts at $49. No free trial available. Because Instagram is quickly becoming the single most prosperous social media platform on the planet, it’s quite competitive. The more data you collect—especially when that data is specific to your strategy—the more accurately you’ll be able to predict success. These 7 must-try Instagram analytics tools of 2018 are here to help you! Which one is best for your specific social media strategy will vary depending on your goals and challenges. 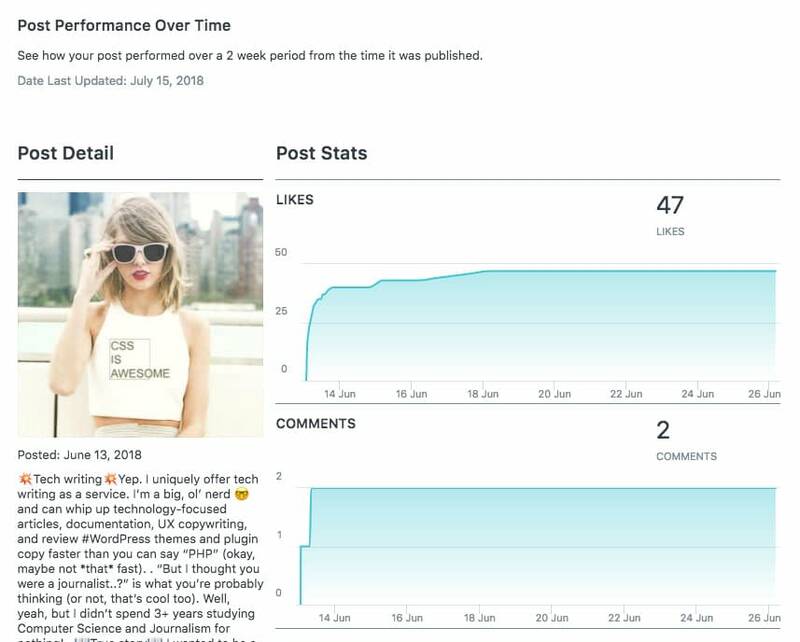 But having a dedicated analytics tool for Instagram can help you stay ahead of the curve, making every single post that much more successful than the last. 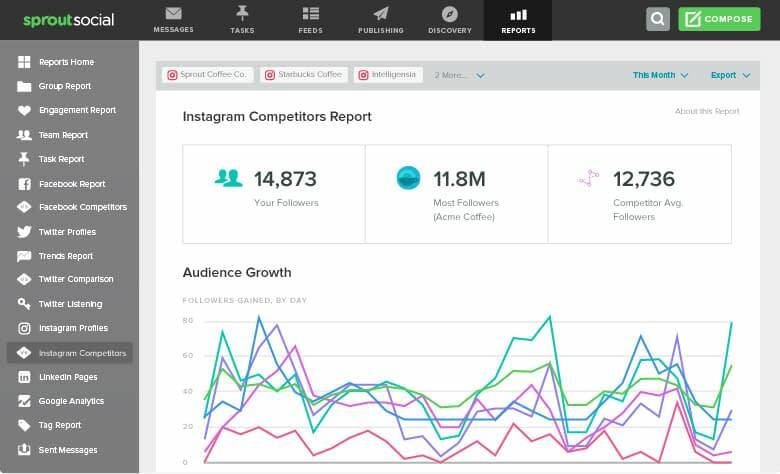 What’s more, Instagram analytics tools can help show off your success. For digital marketers and social media gurus, this asset cannot be underestimated. Clients love to see how well they’re doing, and these tools make that easy and clear! If you want social media success in 2018, these Instagram analytics tools can help you get there. Hi!, very informative article , so thank you for sharing this article.